Mood Gloves v1-2 were the 1st and 2nd haptic wearable prototypes designed by Antonella during the initial stages of her doctorate in Media and Arts Technology. Her research focused on exploring new ways for enhancing audiences’ cinematic experience. 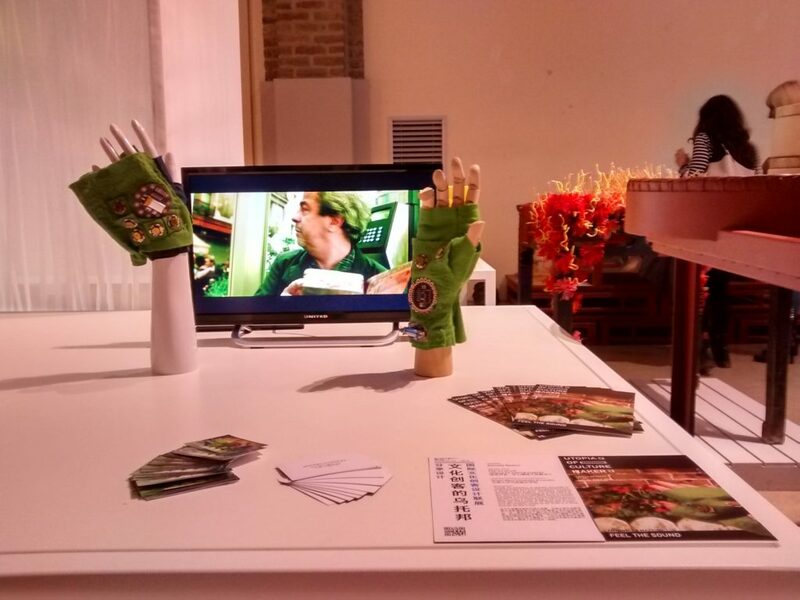 ​The gloves have been showcased at various international exhibitions. Below is a photo taken at the International Culture Makers’ Joint Design exhibition Sharing Design – Utopia of Culture Makers, held in Milan in 2015.